For someone such as myself who has practically lived in Converse for the last five years I have to say that I find the process of shoe shopping to be pretty daunting to say the least. I rarely go out to buy shoes as I know deep down I am pretty picky, I also have feet which fall into half sizes which can make things a little more difficult. My shoe shopping days tend to result in having walked the entire length of town looking for the perfect pair and then coming home without any anyway, only to then proceed and order the first pair online that I tried on that day. Recently I have being browsing online at Shoetique which is an online footwear store which happens to stock a lot more brands than I originally thought. My beloved Clarks are on there which I have made a mental note about as that store is always my first point of call these days when I am looking for a new pair of shoes; I am all about comfort when it comes to looking after my tootsies! 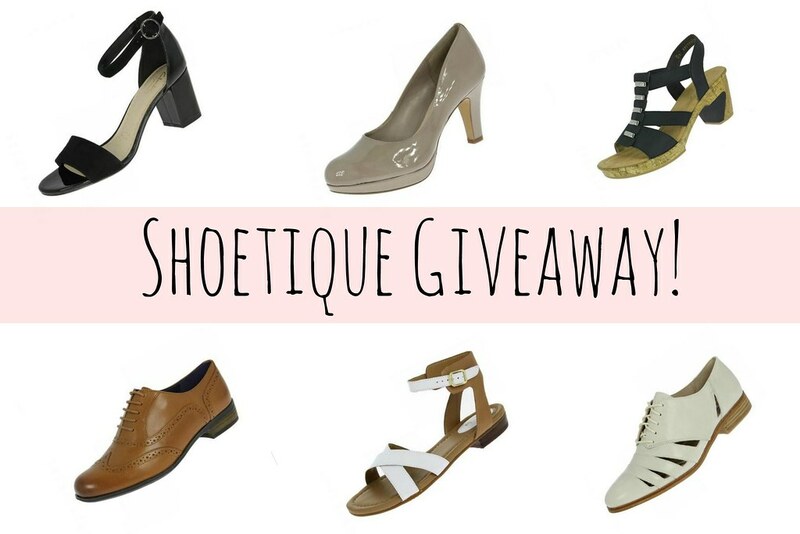 Luckily for one of you today Shoetique are offering you the chance to win a £50 voucher to spend on their online site. I think this is a great opportunity to update your footwear wardrobe, especially if you’re after a new pair of sandals for an upcoming holiday as they currently have some lovely ones available. Naturally I picked out some of my favourites above. Eagle eyed readers amongst you may have spotted the Clarks Hamble Oak Brogues which I have mentioned before; I think it’s about time I finally picked those up as I have wanted a pair for such a long time now. In regards to the giveaway all you have to do to be in with a chance of winning the voucher is simply fill out the rafflecopter form below. The giveaway will run until the 17th July where once it comes to an end I’ll send out an email to the winner, therefore please do keep an eye on your inbox and remember to leave an email address or some form of contact details just in case you are the chosen winner. This giveaway is being provided by Shoetique and is open to the UK only; once the winner has been informed Shoetique will contact you in regards to the prize. Good luck to everybody that enters and don’t forget to let me know what you would treat yourself to if you were to win.